Next Sunday, Centric and BET will air their twenty-eighth showing of the Soul Train Awards in Las Vegas, celebrating musical innovation, exhibition, and excellence within the black community. The Soul Train awards have been one of the most prolific examples of a consolidated and well established commemoration of the many accomplishments and achievements of African-American creators and influencers. It’s reach and impact have only grown each year as more artists new and old have been added to the canon of winners and performers that have graced the award’s stage. This year especially, there are expected a procession of some of both the most promising young musicians building their discographies and artistic clout, as well as some of the most seminal and relevant tastemakers within the music industry to date; and from the way it seems, the showing did not disappoint. 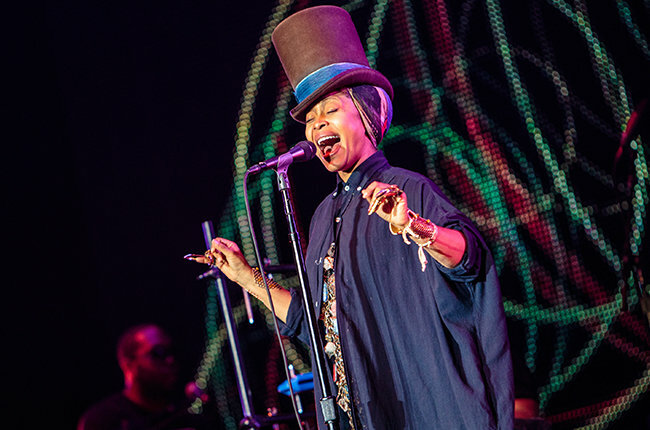 With celebrated R&B singer, Erykah Badu as the master of ceremonies (with her many eccentricities in tow), live performances by hitmakers and musical staples like R.Kelly, Bobby Brown, Babyface and Tevin Campbell, as well as newly surfacing and cementing talents such as Jeremih and Tank, the 2015 Soul Train awards truly are sure to be something to behold from beginning to end. The individual nominees of this year’s awards spanned from budding Detroit MC Dej Loaf, to Pop/R&B vocalist Janelle Monae, and innumerable iconic pieces of both videography and choreography will be pit against one another, in what is revealing itself to be an incredibly eclectic group of individuals collected for the celebration and appreciation of music and performance. The awards will be aired on the BET network at 8 PM Central time and whether the country will watch the awards surpass or fall short of the towering expectations laid out for them, the night will be one to remember.